Most clutches won't require the spacer shown. Some, however, have tall fingers that move the fork connection forward. 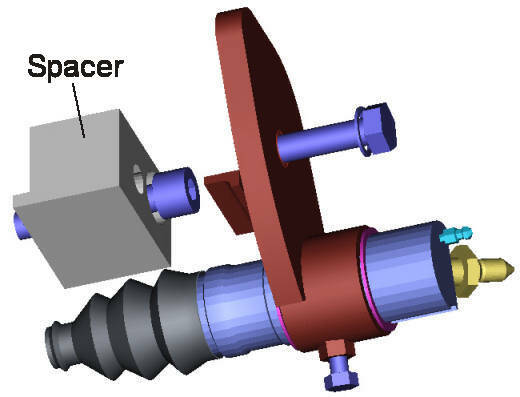 The spacer moves the slave assembly forward and inward, correcting the alignment. If the alignment is still off, the corner of the aluminum block can be ground so that the slave bracket can be rotated slightly.